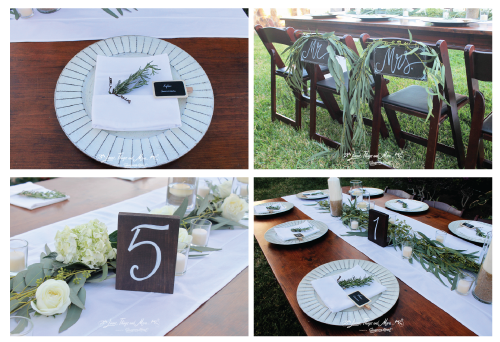 When most people think about wedding décor, they picture table runners, candles, aisle decorations, and centerpieces. But did you know signage is also an important décor element of every wedding? Wedding signage can include seating charts, directions to the ceremony and reception, shoe stations (for a beach wedding), chair signs (for the bride and groom), and even those trendy little “Here Comes the Bride” signs carried down the aisle by the little flower girls and ring bearers! 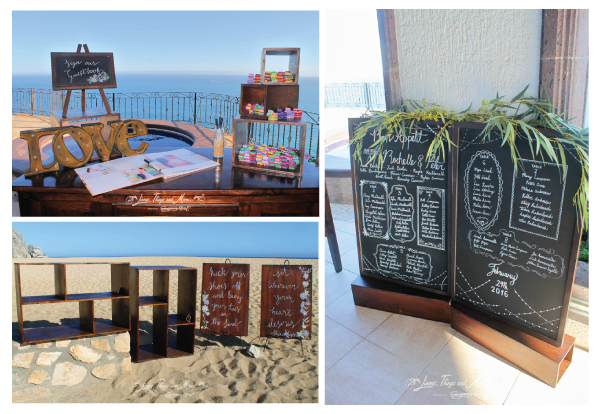 We have paired four types of signage with the perfect lettering by our design team so you can see how important it is to select a font and lettering style that matches the overall theme of your Cabo wedding! 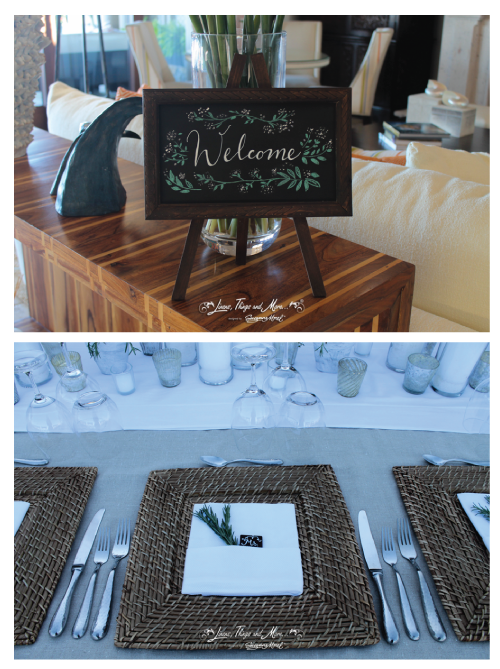 At Linens, Things and More…, our wedding and event designers have years of experience matching beautiful hand-lettered wooden signs, chalkboard signs and mirror signs with the destination wedding style of our clients! We do not buy pre-made signs and expect them to fit everyone’s unique individual taste—instead we cut the wood, paint the lettering and designs by hand, and even build the frames for your chalkboard or mirrored signs! Our décor design team includes a graphic design artist who carefully hand-letters the whimsical calligraphy, modern bold font or simple printed lettering of your dreams! 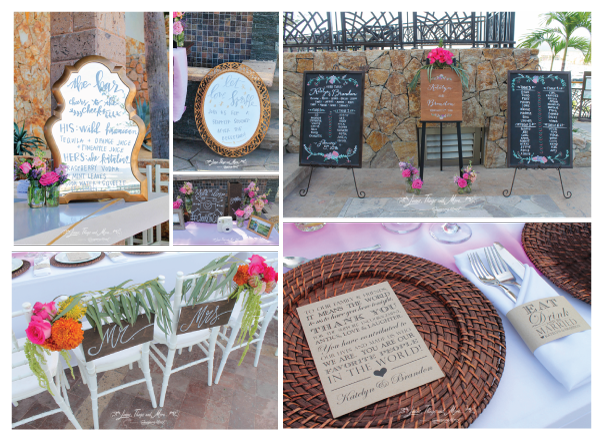 As you can see, our personalized wedding signage is always a perfect pairing with your rustic, modern or vintage Cabo wedding! Contact our team today at (619) 819-9180 to learn how we can design the perfect custom lettering for your destination wedding! This entry was posted in Accessories and decor, Cabo event design and decor, Cabo Wedding planner and coordinator, Creative Destination Event Company, High end set-ups, Special Event Decor in Cabo, Wedding Inspiration, wedding locations in Los Cabos, Weddings and corporate events decor and tagged beach wedding shoe stations, bride and groom chair signs, CABO EVENT RENTALS, Cabo party linens, Cabo party planner, Cabo wedding chairs, Cabo wedding chargers, Cabo wedding design, Cabo wedding linens, Cabo wedding planner, Cabo wedding rentals, Cabo wedding seating chart, Cabo wedding table numbers, chalkboard wedding signs, destination wedding ideas, Mexico wedding ideas, mirror seating chart, rustic wedding decor, wedding calligraphy, wedding signs, wooden wedding sign.